Gamer Network, the world’s leading network of independent video games websites and producer of the UK’s premiere video games events, and The Yogscast, the YouTube mega stars, today are proud to announce details of the massive EGX Yogscast presence. Throughout EGX – running 24th-27th September at the NEC, Birmingham – The Yogscast team will be meeting fans in their own special Yogscast Zone, which features a custom designed signing area and merchandise stand. Lewis, Trott, Smiffy, Ross, Sjin, Duncan, Hannah, Kim and Turps will all be attending EGX at varying times. With so many of The Yogscast coming it means that no matter which day visitors attend the show there will always be team members on hand to meet them. In addition to the daytime activity, from 6pm-8pm on Friday 25th and Saturday 26th September the team are inviting visitors to join them for An Evening with The Yogscast! This relaxed after-show event will give fans more personal time with The Yogscast, with two special behind-closed-doors Q&A panels hosted by Turps and featuring a classic blend of waffle, guff and great prizes. Hannah, Kim, Duncan and Sjin will be enjoying Friday evening with fans. While on Saturday, Ross, Trot, Lewis and Smiffy (AKA Hat Films) will be entertaining the group. Tickets to An Evening with The Yogscast are priced at £15 for a single evening or £20 for both Friday and Saturday evenings. The Yogscast CEO Mark Turpin said, “We are really excited be working with EGX this year. It is such an important event in the gaming calendar, and we are proud to be part of it again this autumn. We’re especially looking forward to meeting all our fans at the NEC, and sharing some extra special madness with you at An Evening with The Yogscast events! “A huge part of the EGX experience for visitors is getting to meet their gaming heroes”, said David Lilley, Managing Director of Gamer Events. 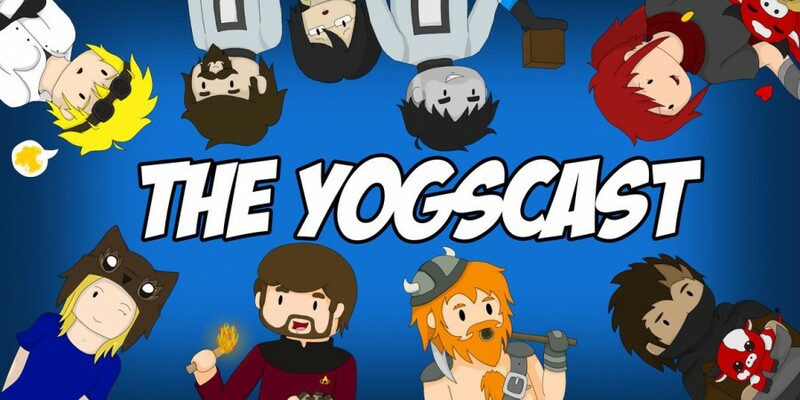 “You don’t get much bigger than The Yogscast, the original UK YouTube gaming stars. We’re delighted to welcome them back to EGX with their largest ever show presence. Fans will have more access to the team, and more fun with The Yogscast, than ever before”.